Deciduous medium-sized twiggy shrub. Young foliage tinged bronze. 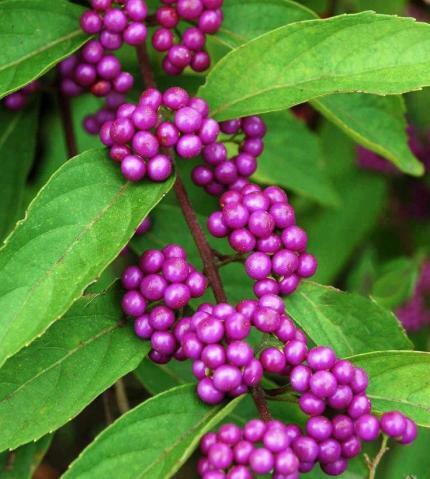 Small mauve flowers in summer followed by striking rounded clusters of small mauve berries in autumn. Sun and good drainage. Grows to about 2.5 metres tall.